Dazed and Confused concerns itself with art, fashion, music and photography. Buy a single copy or subscription to Dazed magazine. The team behind Dazed (formerly Dazed and Confused) have been the original pop culture provocateurs since 1991, and in that time they have become synonymous with the bleeding edge of cool, young fashion. Reporting on everything from music, politics, ideas and art with a keen and questioning eye, Dazed is the ideal print companion for those wishing to discover everything new that is going on at the furthest reaches of the artistic scene. 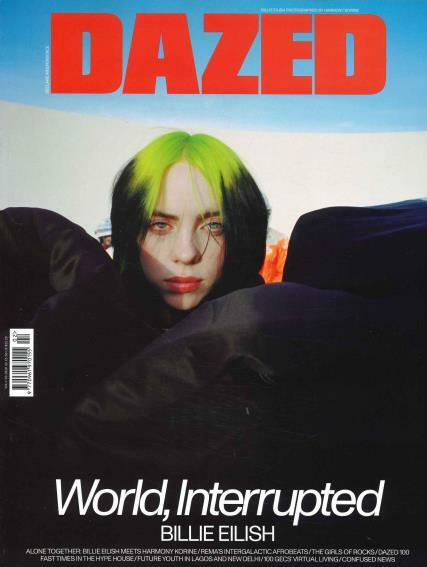 You may expect Dazed to be a difficult read, aloof and arch, but in reality Dazed's mission is to include and engage every reader from the first page, something it does with style. An exemplar of chic design and high production values, Dazed's pages are bristling with arresting imagery, immersive content and desirable fashions for the leading lights of tomorrow.